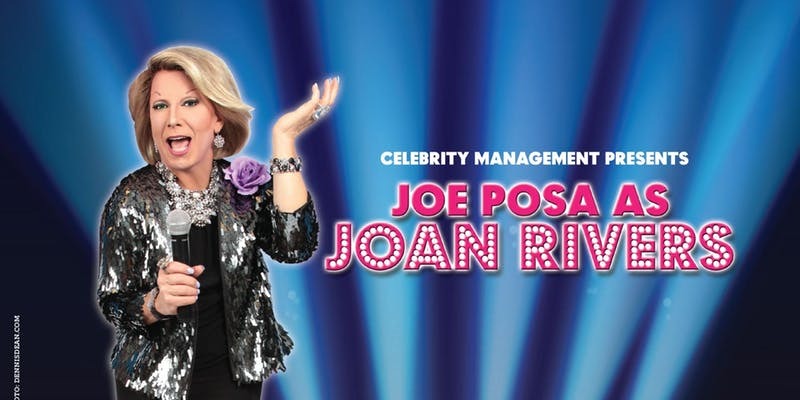 Joe Posa, Award Winning actor and celebrity impersonator, joins forces with “Fashion Police” Executive Producer (and the real Miss Rivers’ joke writer), Tony Tripoli for a hilarious 90 minute Tribute, Joan Rivers LIVE! The show begins with Tony Tripoli sharing his shocking memories of working for Ms. Rivers: The trouble they got into, the joke that E!, refused to air, and how outrageous she was – both offstage and on. 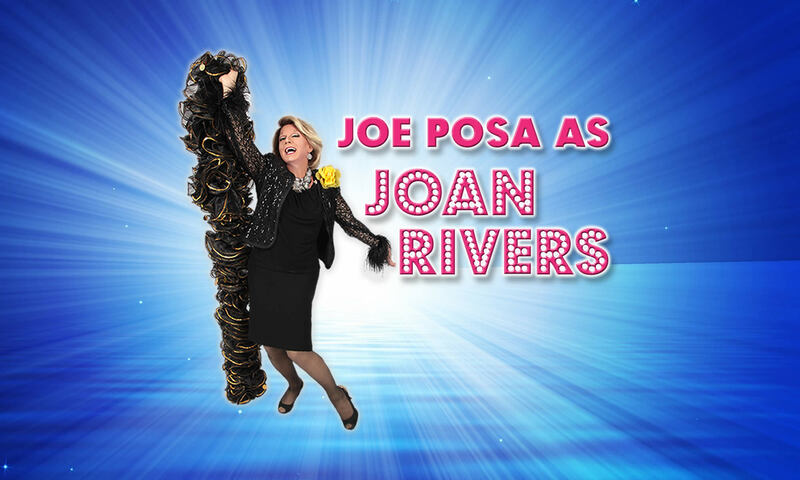 After sold out shows worldwide, we are thrilled to present this “very-naughty-but-SO-much-fun” evening to South Florida audiences.